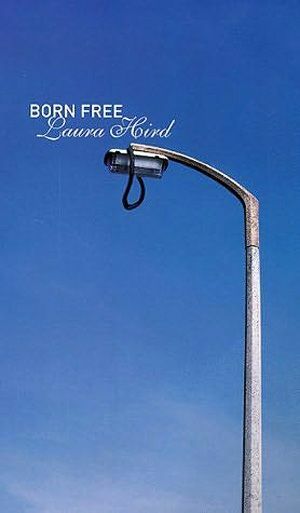 Laura Hird's Born Free is a masterpiece of contemporary urban fiction. It is also a quintessentially Scottish book: funny but dark, malevolent but life affirming, poignant but endearingly compulsive. First published in 1999, Born Free followed Hird's Nail and Other Stories, a collection which, through its vivid characterisation, black humour and energetic use of language, immediately marked Hird as a talent to look out for. She initially appeared in the semi-legendary Rebel Inc magazine, which gave rise to the Canongate imprint that first published her books. This was also the background from which talents such as Irvine Welsh and Alan Warner emerged. Hird is the only great female writer of that group and she has been, I feel, somewhat underrated. Born Free is a classic, pure and simple. It tells the story – from different points of view – of one very Scottish, very urban, very dysfunctional working-class family. Vic is a bored bus driver whose best just doesn't seem to be good enough. Angie is his cheating, alcoholic wife. Joni is their 15-year-old daughter, desperate to lose her virginity, and Jake their bullied, tormented 13-year-old son. Each chapter is told from the point of view of a different member of the family. It’s a tough narrative trick to pull off but Hird manages each distinctive voice with a brilliant understanding of what motivates people of different ages and genders to act as they do. She explores her characters' worlds like the compassionate director of an appallingly gripping docu-drama, homing in on themes such as alcoholism, infidelity, working-class lack of freedom, familial claustrophobia and the yearnings, frustrations and epiphanies of teenage and mid-life crises. Hird shows us there is fundamentally no difference between the ordinary and the extraordinary. It is a virtuoso performance. Although Hird owes some measure of influence to her peers, a closer scrutiny of her work reveals the influence of Patricia Highsmith and Ian McEwan; Born Free is a very filmable novel, though it would be closer to Mike Leigh's work than that of the Trainspotting team. Nominated for the Orange Prize, shortlisted for the Whitbread First Novel of the Year and voted The Face's top book of 1999, it was a critical and commercial success. However, I would like to have seen it achieve, on its own terms, what Trainspotting did. Perhaps the follow-up, which Hird is currently planning, will accomplish all that and more. Further reading: Nail and Other Stories (1997) is the first collection of Hird’s tough, blackly funny short stories, also showcased in the anthology Children of Albion Rovers (1996).